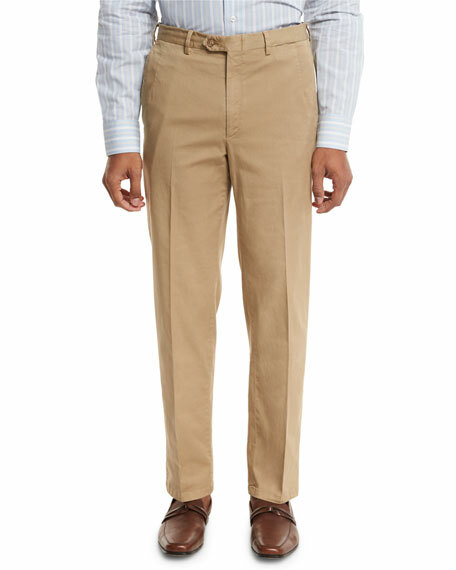 Brioni flat-front trousers in washed twill. 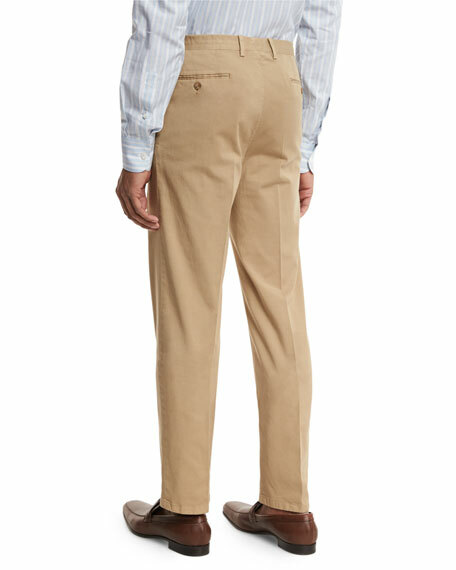 Top quarter pockets; back button-welt pockets. Straight leg slightly tapers to ankle. 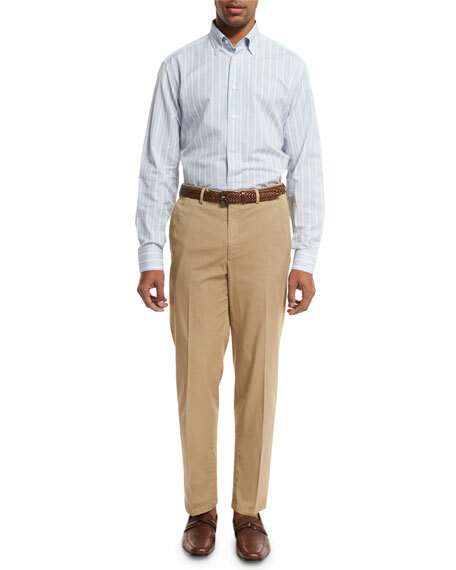 For in-store inquiries, use sku #2050956.